Between YouTube’s ever-changing algorithms and the sheer amount of competition, it’s become extremely difficult to establish a channel on YouTube. But video is the way of the future; by 2021, an estimated 82% of all internet traffic will be video. So what’s a brand to do? Publish videos on other sites, of course. In this article, we’ll explore the best YouTube alternatives and help you choose the right one for your brand. For the purposes of this article, we’re focusing on YouTube alternatives that are appropriate for brands. We won’t discuss sites like Vimeo, which are primarily communities for indie filmmakers and music video producers. 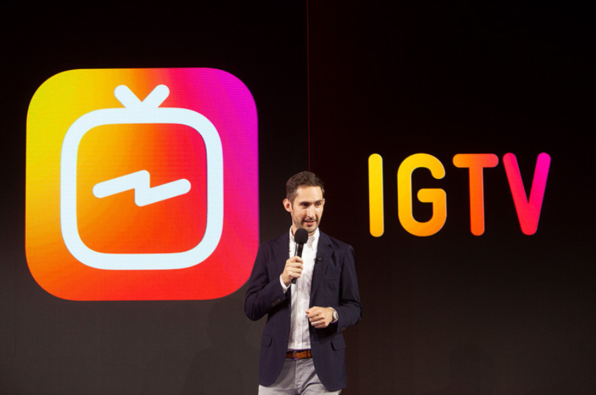 IGTV is Instagram’s response to the desire for more long form video content. This platform features dedicated channels where creators can post videos longer than 60 seconds, which is the maximum length for a regular Instagram video. Many speculate that this is an attempt to compete directly with YouTube. Several Instagram stars launched their channels as part of the IGTV launch, but you don’t have to be an influencer to create your own channel. All you need is a phone with a high quality camera and room for the IGTV app. Access to Instagram’s audience – Instagram now has over one billion users around the globe, and their growth shows no signs of slowing. And if the success of the Instagram Stories app is anything to judge by, we can expect people to flock to this platform by the millions. The ability to compete on a new platform – IGTV is part of the Instagram family, but it’s a secondary app and many Instagrammers have not yet adopted it. Brands, in particular, have been slow to dip their feet in the IGTV waters. Creating your IGTV channel now gives you access to the Instagram audience without the level of competition you’ll find on the main app. Vertical videos – As a mobile-only platform, IGTV is built for vertical videos. This means you can now use your phone for your videos, not just photos. It also means these videos look better on phones, which is a great thing when you consider that 52% of all internet traffic is mobile. No guarantee of success – IGTV may have the power of Instagram behind it, but so far the feature hasn’t attracted much attention. Many people haven’t even heard of it. Still, IGTV is barely a month old, so its lack of success now doesn’t necessarily reflect its future. No advertising – At this time IGTV does not have any advertising features for brands. This means if you want to get in front of the IGTV audience, you need to be making regular content, and it needs to be good enough to attract attention without paid advertising. That said, with Instagram’s increased focus on advertising, we suspect this is a temporary feature. Vertical videos – The vertical video format may simplify things for some creators, but it will complicate the process for others. Creators who have extensive collections of horizontal videos can’t move them onto IGTV, and YouTubers who want to create IGTV videos will need to film with two devices. This may discourage creators who are already actively making videos for other channels from expanding their content to IGTV. The verdict is still out on IGTV, but we think it shows a lot of promise. If you’re interested in creating vertical videos, dive into IGTV now while the competition is low. Dailymotion is an established video streaming service with an audience of 112 million unique monthly visitors. They offer a similar format to YouTube, making the browsing experience simple for people used to the larger video sharing site. Dailymotion users are allowed to upload videos for free, but there are limitations: individual videos can only be up to 60 minutes long, files must be under 2GB, and there’s a limit of 96 uploads per day. For most brands, these limitations won’t be an issue. Fewer ads – Dailymotion only allows advertisements at the beginning of videos, minimizing distractions from your content. Dynamic advertising options – Despite having fewer ads, Dailymotion still offers several advertising options for brands including instream advertising and display ads. Monetization opportunities – Dailymotion allows creators to become Partners, unlocking monetization opportunities and advanced analytics features. You can also use their OpenVOD program to sell your videos directly to consumers. Smaller viewership – The main drawback of Dailymotion is that its reach is significantly smaller than YouTube’s. 112 million unique monthly views may sound like a lot, but it’s a drop in the ocean compared to YouTube’s 1.8 billion monthly visitors. Europe–based viewership – If your business is based in Europe or is able to sell internationally, this isn’t a bad thing, but if you’re focused on selling products in North America, Dailymotion isn’t the place for you. Whether or not Dailymotion is a worthwhile alternative for your brand depends largely on where your audience is. If your audience is based mostly in Europe, Dailymotion might be the perfect alternative to YouTube. If you want to reach potential customers from around the globe, you may want to use Dailymotion in combination with YouTube. On the other hand, if you can only sell in North America, Dailymotion isn’t a good place for your content. Bit.Tube is built on blockchain technology, the same technology used to create cryptocurrencies. Combined with a payment structure that rewards both creators and regular users, this makes it one of the most unique YouTube alternatives. Monetization opportunities – Most video streaming services allow you to monetize your channel by running advertisements. Bitcoin, on the other hand, allows you to get paid for every minute people spend viewing your videos. It also allows users to tip you if they found your content valuable. Ease of use – Bit.Tube uses a format similar to YouTube’s, making it easy to grow accustomed to. They also allow creators to import videos directly from YouTube. Lack of competition – As an early adopter of Bit.Tube, your channel will be able to attract a significant amount of their audience. This may be much smaller than YouTube’s audience, but if the platform takes off, you’ll already be there, waiting to welcome newcomers. Earnings are in cyptocurrency – Bit.Tube pays creators with TUBE, Bit.Tube’s own cryptocurrency. This means you have to sell your TUBE if you want regular money, and the value of your earnings is subject to the volatile nature of cryptocurrency. Small audience – The concept of Bit.Tube has the potential to be revolutionary, but they’ve got a long way to go before they can challenge any of the streaming sites on this list. Right now trending videos only get one or two thousand views. Creating separate content for Bit.Tube probably isn’t worthwhile for most brands at this point, but the ease of importing your YouTube videos makes it a worthwhile secondary place to post your videos. You may also want to explore Bit.Tube if you’re interested in entering the world of cryptocurrency. At first, Twitch seems like an unlikely addition to this list. Most of these platforms are built to share videos in much the same way YouTube does. Twitch, on the other hand, was built for people to livestream video games. It’s not a place you would normally think about as part of your marketing strategy. The truth is, Twitch only works for certain types of brands. If you’re a programmer or developer, it’s a great place to share behind-the-scenes content of your process, especially if you work on games. Twitch can also be a great place to share your creative process if you’re a musician, artist, or other type of creative professional. So why is it on this list at all? Twitch has 140 million unique viewers each month. They also have the power of tech giant Amazon behind them, propelling enormous growth. And, while they aren’t the most popular feature, Twitch does allow you to publish regular videos. Access to a large user base – Right now, Twitch has the largest audience of any site on this list. Affiliate program – The Twitch affiliate program is accessible to smaller channels, requiring only 50 subscribers and an average of 3 views per stream (there are also some requirements around streaming frequency). This allows users to earn money in a variety of ways, including paid subscriptions and tips in the form of Bits, Twitch’s own cryptocurrency. There are also several external apps that can help you monetize your Twitch channel. Strong focus on community – Twitch offers a built in chat function that encourages users to chat with you while you stream. This is more streamlined than the chat experiences in many other video platforms. If you want to build a close relationship with your audience, this is a great way to do it. Focus on streaming – Most of Twitch’s user base is there to watch livestreams and communicate with creators in real time. The affiliate program also requires a certain amount of streaming time. Lack of interest in branded content – Twitch users want to get to know people, not companies. It is possible to have success with Twitch advertising, but posting overtly brand-focused videos or streams isn’t going to attract much of an audience. Twitch is only effective for certain types of brands, but it can be a great place to build a strong community. You are most likely to be successful on Twitch if your brand is focused on you as a person and/or your creative work. 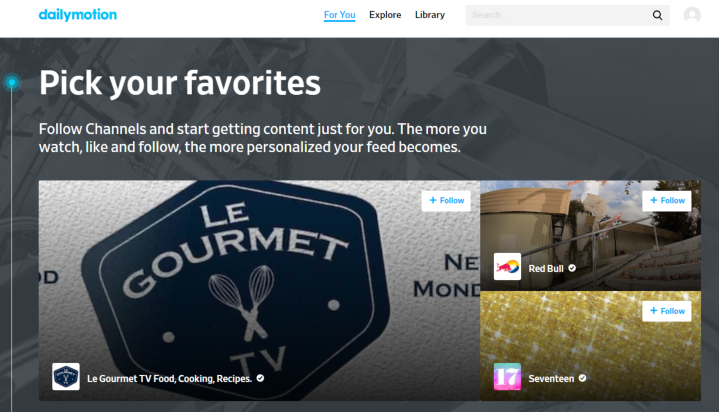 Which of these YouTube alternatives is right for your brand? All of these YouTube alternatives offer unique features and advantages, but none of them are perfect replacements. The site, or sites, you choose to focus your video marketing strategy on should be based on your brand’s individual needs and strengths. We also strongly suggest that you consider using these YouTube alternatives in conjunction with an actual YouTube channel. Some of these sites might become true competitors, but for now, no video platform can claim an audience size even remotely close to YouTube’s. And don’t forget that no matter where you publish your videos, you still need to promote them. Have you published videos on any of these YouTube alternatives? Let us know in the comments section below! The post 4 YouTube Alternatives to Consider in Your Video Marketing Strategy appeared first on Revive Social.